X-Men: Legacy is a comic book series published by Marvel Comics featuring the mutant superhero team, the X-Men. 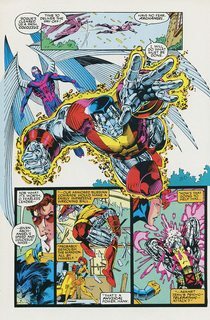 The title began its publication in October 1991 as X-Men. From 2001 until 2004 it was published as New X-Men. 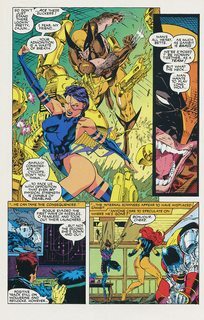 It had reverted in issue #157 to its original title, but changed again from issue #208 to X-Men: Legacy. Prior to the name change, the series is usually referred to as X-Men, vol. 2 because the first series, currently Uncanny X-Men, was titled The X-Men prior to 1981. 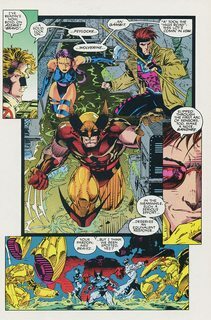 In addition, a new unrelated ongoing series titled X-Men was later released starting in 2010, and is generally referred to as X-Men, vol. 3. X-Men: Legacy was relaunched in 2012 as part of Marvel NOW! with a new issue #1. The new volume, written by Simon Spurrier, focuses on Legion, son of the recently deceased Professor X, and his mission to preemptively help mutantkind while attempting to get his many personalities under control. The volume ended its run after 25 issues in March 2014, but not before reverting to its original numbering with the final issue, X-Men: Legacy #300.